Corporate and nonprofit boards are turning to board portal software to assist with issues in board governance. However, some boards are resistant to turning to technology to assist directors. Data shows that while most members of nonprofit boards used phone and email to communicate, a growing number of members’ communications were driven by the use of a board portal. From meeting preparation through review, board portals have become the standard tool organizations utilize to improve outcomes. If you frequently find yourself in any of these scenarios, you should consider investing in board portal software. With all the documentation needed to properly inform the board before a meeting, it is not uncommon that you will curate and compile over 200 pages of information. These pages need to be copied, organized, bound and shipped, which is a painstaking process for staff that supports the board. If there are errors or omissions, support staff has to correct those errors. Pages or perhaps the entire board book will have to be redone. Organizations typically underestimate the volume of wasted materials and hours that are invested in correcting errors without a digital board portal. A board portal reduces costs and preparation time by eliminating most of the hurdles inherent to physically publishing a board book. Board portals enable support staff to publish and distribute the information that is ready in real-time. It’s standard business protocol to give your board members three to seven days to review a 100 pages of material. When you have to wait for the last critical document before you can publish your board books, you squander valuable review time. 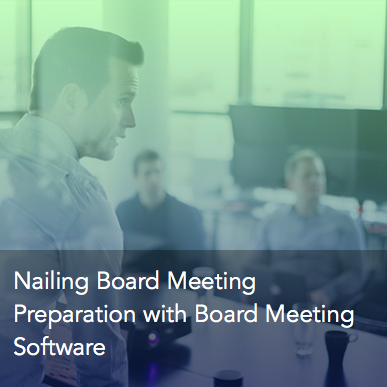 Real-time publishing of finished materials is the only way to effectively give your board the time it needs to review all relevant materials for the upcoming board meeting. Informed directors are better directors. Do your directors often fade towards the end of your meetings, sinking headfirst into the black mirrors of their phone? Perhaps they are busily crafting emails or have already moved onto answering text messages? You may need to take control by including a better structured agenda, which can be created through leveraging a board portal. 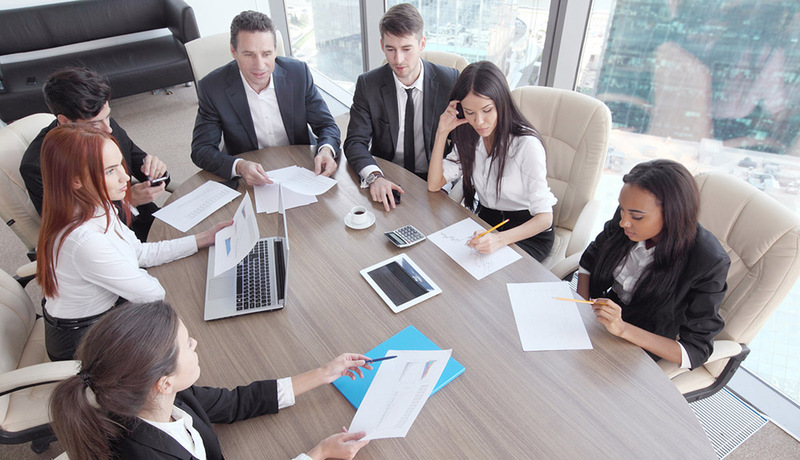 When directors are able to digest relevant and complex information prior to the meeting, their oversight will be more valuable to the company. And when you have a structured agenda that allows time for informed director feedback, you are then able ensure the meeting allows for engaging discussions. This allows for the most important feature of board meetings: looking toward the future. To facilitate a well structured meeting, directors should arrive with clear thinking on the items at hand. 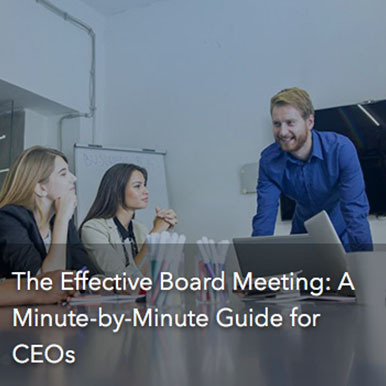 Annotated notes that board members draft, often summarized automatically by board portals, can be eminently useful to keep the discussion focused on what they found most important during their preparation. Most boards report back affirmatively on the reduction of mass interruptions after introducing board portal software. Ample review has allowed structured thought ahead of the meeting itself. Consent agenda and appendices are the best way to free up time for discussions on your agenda. By clearing the clutter, consent agenda leave you the It leaves time to actually provide the oversight and direction that directors position demands. Do members of your board remain quiet during board meeting? Are they not participating in discussions on key issues? Are some directors behind the curve on specific topics or issues key to the board’s mission? Board portal software can alleviate these problems. Your members should be given the resources to take a deep dive on the background information on which they may not be up to speed. Board portals come with a robust resource library that allow directors to easily navigate to key documents. A comprehensive search feature will allow any director to quickly discover old notes, documents, or meetings. And perhaps some part of your directorship is new, without the institutional knowledge that some of your more senior directors possess. Board portals make it simple for them to browse through past achieved meetings, what was on the agenda, what was decided, and important vote counts. Finally, RSVP features help you track attendance records, to assess engagement and stay compliant. When your directors are more engaged, when the information is easier to review and reference, the result is a more effective board. No director or CEO wants to wake up, pour their coffee, and turn to A1 to find their company sitting above the fold with the ink screaming “Hack” or “Leak.” If you don’t know where your old documents are, what basement old board book are resting in peace, you’ve already waited too long. Board portal software is secure in a way that a physical board book can never be. It can’t be stolen from a coffee shop, accidentally left on a plane, or by simply knowing e-mail credentials. Board portals demand comprehensive password protections, built to withstand hacking and phishing through data encryption. A lost or stolen book won’t cause you panic, as remote purging of data is an industry standard feature. Some boards believe that emails are secure. This is simply not the case. Only a sophisticated board portal with dedicated and advance security measures can prevent the kinds of corporate leaks that have become all but endemic. Directors need more than Hotmail to keep their data secured. That’s why the most sophisticated board portals include TouchID technology. The most advanced security measure developed to ensure user authentication. To gain access to those important documents, these board portals require a thumbprint to verify the users’ authenticity. There’s no denying that board portals protect your organization in a way that paper simply cannot. The most sophisticated options include the most advanced security measures developed. How much does a fleet of lawyers and compliance professionals cost? Avoiding a single engagement with your lawyers or compliance officers can easily cost as much as board portal. You never want to experience the fear that occurs after your audit team tells you there are gaps in your record keeping. This is a red flag that opens your board to penalties from regulatory agencies. We assume you don’t want a call from Securities and Exchange Commission. With sophisticated board portal software, you’ll never have to worry about regulatory compliance issues with how you share information and keep records. To maintain compliance across your entire governance practice, board portals are the single best investment. For instance, today’s board portals allow you to redact sections for a director that may have a conflict of interest. A common pit that many organizations face often. Maintaining every copy of every board book in case of audit or discovery is almost unfathomable. A storage room stacked to the ceiling, book after book is untenable. There’s simply no reason to have to do this. Today’s board portal software has solved this pressing problem, keeping your board and core business secure. From board policies to critical documents that boards have to monitor to stay compliant – board portal technology allows you to create a resource center that has every document for fast and easy reference. Each of these documents is shared with an explicit grant of permissions for each and every member of the board, something the auditors and examiners like to see. 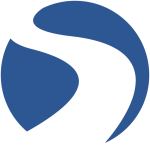 Smart security keeps your legal costs low in case your board is ever part of a discovery process. If you haven’t fallen through one of these pitfalls, it’s not a matter of if not when. 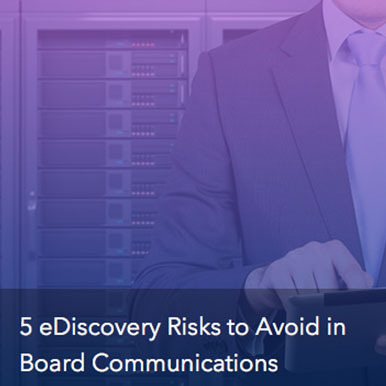 Every board needs to be cognizant that these issues are widespread, and even the most dynamic group of leaders faces security and productivity challenges. Sophisticated board portal software confronts these threats head-on. If your organization has ever experienced any of these scenarios, you need to invest in board portal software. If your organization hasn’t yet, it’s just a matter of time. Consider giving us a call to build your next board book within a matter of minutes.